These are industrial grade power supplies with -48 volt DC input. 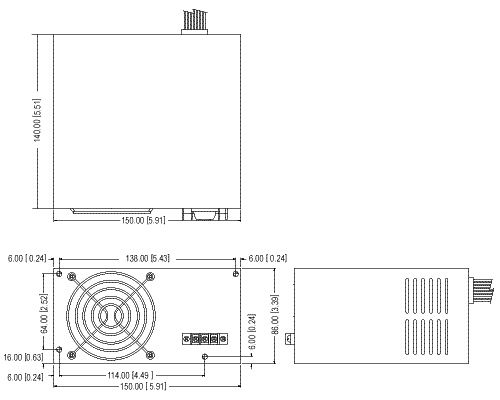 They are useful for applications where battery or solar power is available. These are regulated switching power converters. For use in telecom applications and other situations where the supply voltage is between -38 to -72 volts. 8. DC 48 volt nominal, 36-72 VDC INPUT. Wide range of input voltages includes 36, 40, 48, 60, and 72 volts in one unit. Connectors: eight disk drive plugs, one miniture disk drive plug, one 24 pin ATX, one 4 pin ATX-12 connector. 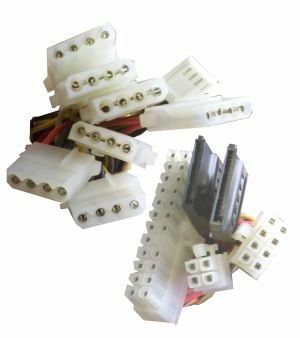 An optional 24 to 20 pin cable adapter is available. 48 Volts DC input PSII Form Factor ATX Supply. High efficiency PC power supply for telecom use..